According to Matt Lauer on the Today Show this morning, even the author of these "racy novels" doesn't care to talk about them all that much. Innocent college student meets billionaire (breathtakingly beautiful) boyfriend. He's a Dominant. He would like her to be his Submissive. According to the Today interview, two million copies sold in one month (I'm NOT the only one!). It's been referred to as "The Secret of the Suburbs." Of course, I had to read it. Here are my thoughts. Is it well-written? No. Definitely not. Pants that "hang on his hips." Christian always busy "raking his fingers through is unruly hair." "It's raw. I'm not a great writer," reported James during the interview on the Today Show this morning. I'll admit, when I read this, my inner-critic did a kind of eyebrow-raise and had to concede that the honest admission improved my impression of the her AND the book. Is it interesting? Entertaining? A page-turner? The answer is, YES. Despite the distraction of WAY overused phrasing, sometimes juvenile perceptions/actions/dialog from the protagonists, an overly predictable and simple plot, and the personally unsettling stalking qualities displayed and tolerated by the characters, I was captivated. I read the book in 2 days. In fact, two minutes after I finished it I downloaded the next one in the trilogy (yes, there are 3! 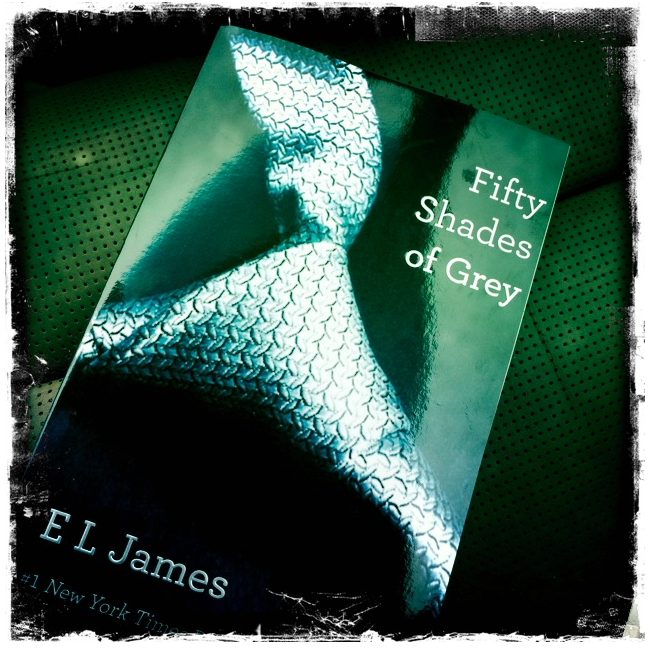 ), 50 Shades Darker. I enjoyed the book. I'm happy to discuss it in generalities here in this public forum; however, I should also admit that I would never suggest this for my book club(s). It's not the kind of content *blushing* I think I'd feel comfortable discussing in any great detail. It's naughty. In summary, this is not "steamy romance." This is "erotica." Trust me, they are very different. If you'd like to know for yourself, I suggest you pick up a copy (or better yet, download it to your Kindle if you'd rather be discreet). post script: OH NO!!!! I just re-read this post and noticed that I've developed an "inner-critic" (did I really type that??)! Based on how much I despise the fact that Anastasia refers to her "inner-goddess" (constantly) in the novel, I'm completely disappointed in myself. Good grief. :) i was reading reviews on this book just this afternoon - i think you have me interested enough to download! must finish rules of civility first tho!